Parliamentary elections were held in Iraq on Sunday, May 12; 169 seats are required for a majority, and with only 45 percent voter turnout, and with 92 percent of the votes counted, the Independent High Electoral Commission has declared Muqtada al-Sadr’s Alliance as the winner of the parliamentary elections. On to talk about the Iraqi elections with me is Sabah Alnasseri. He is professor at the Department of Political Science at York University in Toronto. He’s the editor of Arab Revolutions and Beyond: The Middle East and Reverberations in the Americas. Good to have you with us, Sabah. SHARMINI PERIES: Sabah, this appears to be a surprising new development in Iraq. Muqtada al-Sadr is famous in Iraq, but no one expected him to lead a coalition to victory. Explain what happened. SABAH ALNASSERI: Right. Well, the most significant thing, I believe, is that the classic question, not the security, not [dodge]. The classic question took center stage in this connection. The core issue here is corruption, and justice, and so on. So the centrist politician, [inaudible], which means the march of revolutionary for reform, created a non-sectarian, or cross-sectarian, civil/religious coalition between the Sadrist and the civil currents and the [inaudible] party. This is something new. This should have happened, like, 10 years ago. We discussed this at The Real News at that time. But you know, better late than never. This is the first significant thing about this election. The second thing, I would say, is that both candidates preferred by the United States and Iran actually lost the election. Maliki [inaudible], the State of Law, and the [inaudible] of the people, popular mobilization unit, with his better militia. And the third thing, as you mentioned, Sharmini, that this is the lowest turnout since 2005, with 45 percent of the vote. I mean, more than 55 percent of the Iraqi people, especially young people, the majority of them young people, they did not vote, because they were frustrated. They did not believe in any change. They are fed up with the same old faces, with the same corruption, and so on. So they did not go, they did not bother voting. And to their credit, [inaudible] of Muqtada al-Sadr, I think this is, this is significant. Muqtada al-Sadr prohibited all the Sadrist politicians who were in parliament before not to participate in this election, and he pushed for young candidates. All of them are young candidates. So all, all the politicians of al-Sadr’s, except for one, Majda Tamimi, she stayed because she, she is well known for, for anti-corruption politics. She exposed a lot of corruption in Iraq. She’s the only one who stayed on the list. But all others are new faces. So you have now probably a parliament with a lot of young new faces. And I think this is also significant in regard to the previous election. SHARMINI PERIES: All right, Sabah, tell us what the makeup of this Sadrist party is. It’s a coalition, or alliance, as the Iraqis call it. Who is in the alliance, and what does that mean for the political makeup of the country? SABAH ALNASSERI: Well, first of all, as I said, the alliance was actually built two years ago. We had many protest movements in Iraq in 2010, ’11, ’12, on up until 2017. And they occupy the Green Zone and the right parliament. And this protest movement was carried, it was a spontaneous protest movement by young people. The majority of them are young people. It carried by young people, but then supported by the Sadrists and the Iraq [inaudible] party, and other civil movements and independent politician. So this, this coalition, [inaudible name] of al-Sadr that won the election now, is the outcome of this social movement/protest movement of the last few years. So since last year, these different forces agreed to have one list, and participate on this list, and agreed on nonsectarian civil/national or nationalist program. That means an independent Iraq, neither dominated by Iran or by the U.S., nor sectarian or ethno-sectarian divided, but a much more national and unified Iraq. And I think this is significant because it appealed to a different segment of the Iraqi societies. And you look at the biggest provinces in Iraq, like Basra, Baghdad, Najaf, and so on, you will see that they won all these provinces, even Baghdad. Everybody thought that al-Abadi, the incumbent prime minister, would win the election. He didn’t. So I think this reflects the mood of the Iraqi people, of the young Iraqi people, who are non-sectarian, and not religious, generally. They aspire to a much more civil and open type of a society and state, and the rule of law. And I think the program, maybe there are two important points Sairoon, you know, put forward during the election, is a systemic anti-corruption policy and exposing those who were involved in corruption and crimes and so on, and investment and infrastructure, and employment in the, in the industrial sector, or the agriculture sector, et cetera. Because there you have the most unemployed Iraqi population. And I think if, this is a big if, because as you know, for the first time there is no one coalition that has the majority of the seats within the parliament. If we look at al-Maliki coalition, the last time they won 92 seats. Now only 25 seats. So you have a fracturing of all fraction of the parliament. The biggest one, of course, Sairoon of al-Sadr. But they cannot govern alone. They need to make coalitions. And I think it is significant that al-Sadr, today and yesterday, was saying, was saying that Sairoon, his coalition, they’re saying this coalition is willing to build a coalition with the Sunni, and the Kurds, and al-Abadi, but not with al-Maliki, and not with [inaudible] of the popular mobilization movements who are close to Iran. So I think this is significant in regards to Iran and to the United States. SHARMINI PERIES: All right. Now, we’ll park that issue for a moment and talk about al-Sadr himself. Now, he’s not going to be able to become prime minister. He didn’t run for a seat. How much control can he have over whoever is going to be leader? SABAH ALNASSERI: Well, he has control over his coalition, special [inaudible], provided that he sticks to the agreement he had with the civil camp of the Communist Party that he will not ally with sectarian forces in the parliament. As long as he sticks to that, and I think he will stick to that, he will have an enormous influence on his list within the parliament. And I think he is the one who is going to decide with whom this list will start negotiation on the building of the future government. Which means they are very open to the prime minister al-Abadi. He might be able to become the prime minister. The Sadrists don’t insist on this [inaudible] of the prime minister, because they want their program to be implemented, and not so much the position of the prime minister. So they’re open in this regard. And I think if the Sadrists probably, you know, give the Communists and the civil [inaudible] some executive positions, like the Labor Ministry, of Culture Ministry, et cetera, this will also introduce a significant change in Iraq, in the level of employment and education, and healthcare, of course, because these are the three sectors of the, you know, the, the Iraqi population suffers under since 15 years, that nothing has been done in this regard. And most of the money of reconstruction, investment, et cetera, were appropriated by few [leads] and their clientelist network, and transferred outside of the country. So that will be a major issue. I think if they stick to this, they can introduce some reforms that might create the space for future better institutions in Iran. 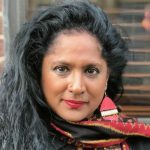 SHARMINI PERIES: Sabah, Muqtada al-Sadr is known for his anti-American views, given that he has led two uprisings against U.S. troops in 2003. Now, that is interesting, but so is this, which is that Ayatollah Khameini in Iran has also said that there’s absolutely no way that these liberals and communists would be allowed to lead Iraq now. Yet he won. So what is actually going on, and will he be able to govern Iraq without the influence or the support of Iran and the U.S. Russia. I don’t think there will be an absence of Iran and the U.S. in Iraq. This is not the case. It’s true that the Sadrists and the Communists, there are very critical views of Iran and the United States. And they are critical about how much influence Iran and the United States have in Iraq on decision making. And not only the security and military issues, but in other regards, economically, culturally, et cetera. So they are very critical of that, and they want a much more independent/Arab national Iraq much more embedded in the regional environment of Iraq, and not solely, you know, an ally of Iran or the United States. So there’s a, there’s a change here. And that means that Iran, of course, will try to support its ally in Iraq. Bring them together and hope that they will be able to secure a majority within the parliament, and nominate the prime minister, and so on. Because Iran is very critical about the Sadrists, and the speciality [inaudible] they don’t want to come to power in Iraq. And the United States, the same thing. They cannot trust al-Sadr, because, as I said, he resisted the U.S. occupation and presence in Iraq since 2003. And of course they cannot trust the Communists. So that means what they, I think what the U.S. will try is to pressure al-Abadi to go in alliance with the Sadrists and so on, and probably secure some sort of presence through al-Abadi and his coalition within this new government. And as long as the Sadrists are capable of excluding Iran [close] forces in Iraq, I think the U.S. will be happy with that. They cannot hope for much more than that, because if they try to impose their will, they would end up also rejected by these functions, just like, you know, the Iraqi people rejected the Maliki list. So I think it will be a very, very delicate issue, and it’s not easy to maneuver through. And I think both Iran and the U.S. will do their best to influence the coalition and the, the government-building within Iraq. And that’s why I think that the building of Iraqi government and the, the nomination of the prime minister will take not only weeks, it will take probably a month until we really know who will be the permanent prime minister, and what kind of coalition, and what is that nature of this cabinet, et cetera. But one thing for sure, I think. We are witnessing now political [inaudible] in Iran that nobody, and I mean nobody, no media, nothing, not Iran or the U.S., expected this outcome of the election. I was reading the, I read the New York Times a few days ago, and they were predicting that al-Abadi will win the election, and [name inaudible] and so on. Those three lost the election. 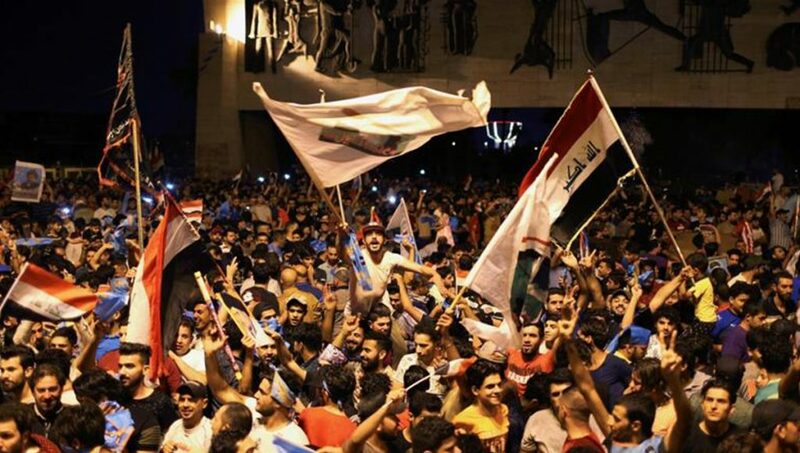 And so it’s interesting how the Iraqi people prove everyone wrong, and that’s a good thing. SHARMINI PERIES: All right. Sabah Alnasseri, I thank you so much for joining us today, and we’ll come back to you when that coalition forms. SABAH ALNASSERI: Pleasure. Thanks for having me.